Two people lost their lives after they contracted the now prevalent Lassa fever in Plateau state. The State commissioner for Health, Dr. Kuden Kamshak who confirmed the death of the two victims yesterday January 18th, said they died at the Jos University Teaching Hospital (JUTH) where they were being treated. This brings to three the number of people that have died from the disease in Plateau state. “The state with support from the World Health Organisation (WHO) is working round the clock to contain the spread of the virus”.Meanwhile a 65 year old woman has been diagnosed with the deadly fever in Delta state. The unidentified woman who is from Ifiogwari village, Ayamelunu, Anambra state, is said to have come to Asaba for treatment after a suffering prolonged fever. She was first admitted at St. Joseph’s Hospital, from where she was referred to Federal Medical Centre, Asaba when her conditioned worsened. The case was confirmed at the virology laboratory, Specialist Hospital, Irrua, Edo State. Lassa fever is a viral disease transmitted by infected rats. 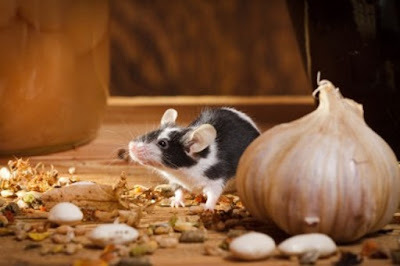 The rats spread the disease by contaminating food or water in any dirty environment. Infected persons spread the disease when their body fluids such as blood, feces, urine, sperm and vomit come in contact with others. Some signs and symptoms of Lassa fever infection include cold and fever, sore throat, headache, pains in different parts of the body, nausea, cough, diarrhea and general sense of being unwell.